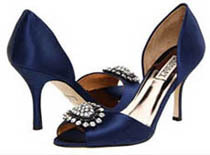 Product categories of Alloy Shoe Buckles With Rhinestone, we are specialized manufacturers from China, Shoes Buckles, Rhinestone Buckles suppliers/factory, wholesale high-quality products of Rhinestone Shoe Buckles R & D and manufacturing, we have the perfect after-sales service and technical support. Look forward to your cooperation! Alloy Shoe Buckles With Rhinestone Use Electrostatic Carved, Die-Casting, Rubber Mould, Polishing, Welding and So on. By the Pins of the Bottom on it Can Nipped on the Top of the Shoes Easily. We are Offering a Wide Assortment of Attractive and Scintillating Metal Alloy Shoe Buckle with Rhinestone, Available in Many Feminine Patterns and Designs, These Are Made Especially to Suit All Types of Ladies Shoes Such as High Heel, Flats, Boots. Also, Rhinestone with it Make Them Look Even More Elegant. Whether You Have a Special Occasion or Just Want to Add Some Glam These Shoe Buckle Will Definitely Get You Noticed.